This original design (2011) is stunning, even better then pictured! 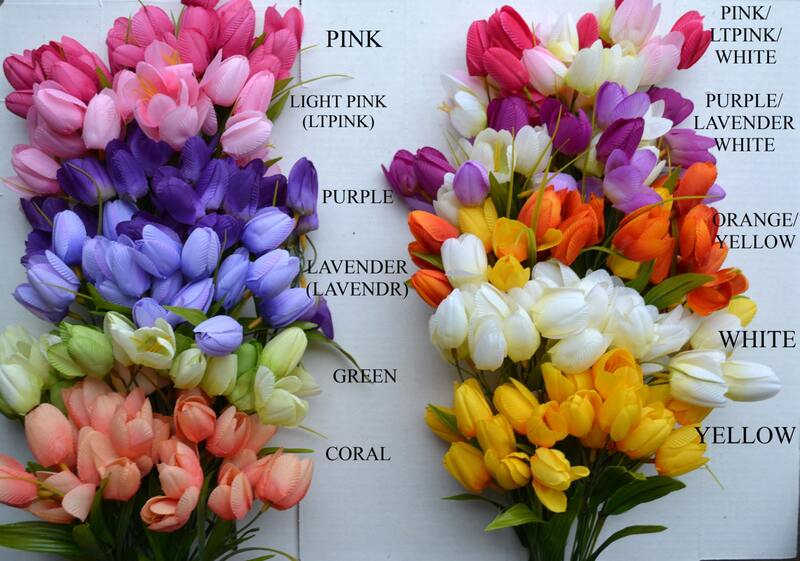 Each year I bring it back adding more color options and styles to the mix. 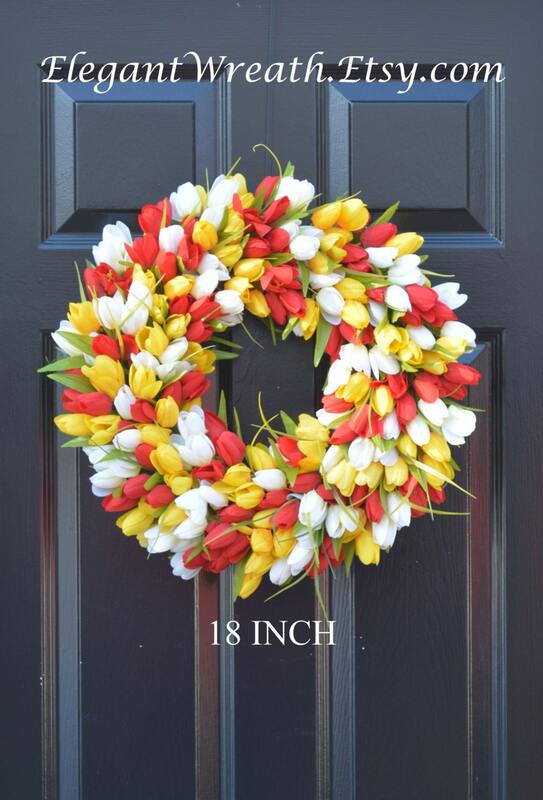 This wreath is available from 16-26 inches in diameter (measured tip to tip of the tulip's edge). 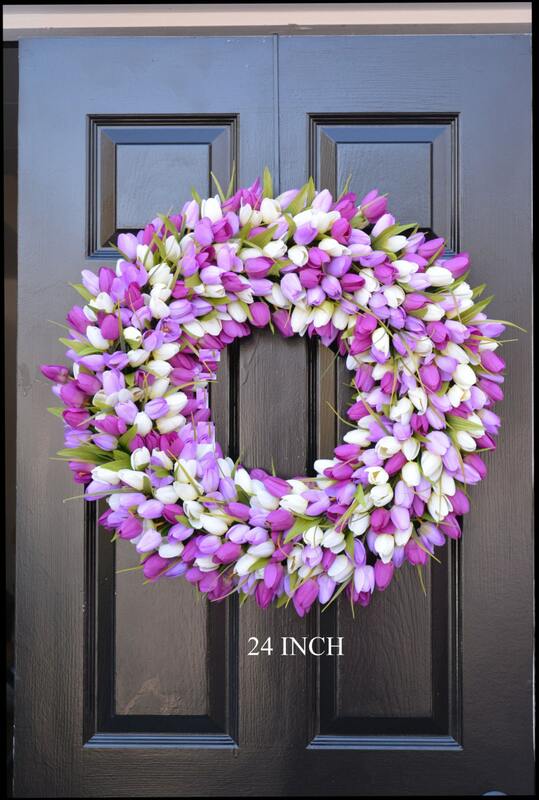 Choose your custom size and color combination in the menu to create the perfect spring wreath for your decor. The wreaths shown are 22 or 24 inch diameter wreaths. 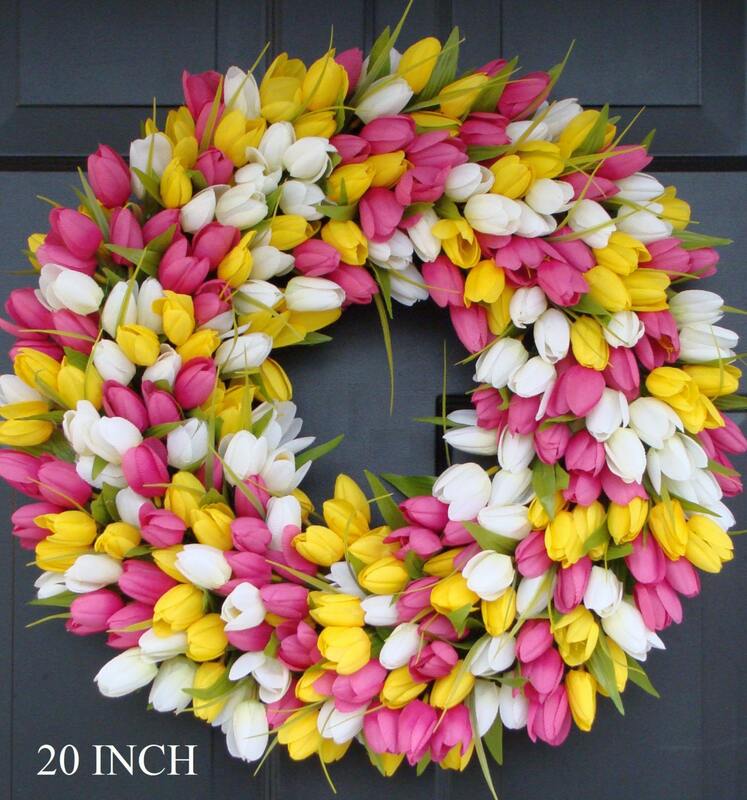 Any wreath with pink or white is limited and sold out early in the last two years. Don't wait! 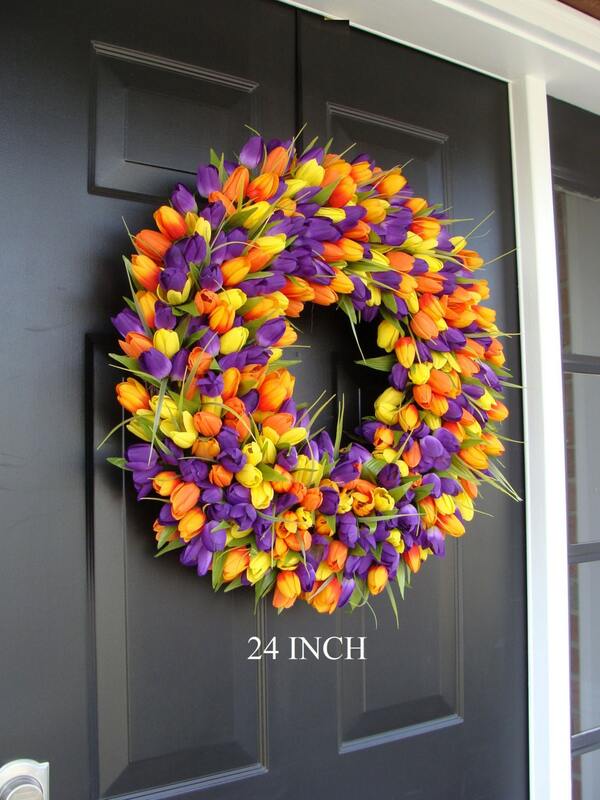 A perfect Spring decoration...well made! This wreath is absolutely gorgeous!! I love it!!! Absolutely gorgeous. I couldn't be happier. Stunning! I'm very pleased w/the quality of the material as well as the workmanship!